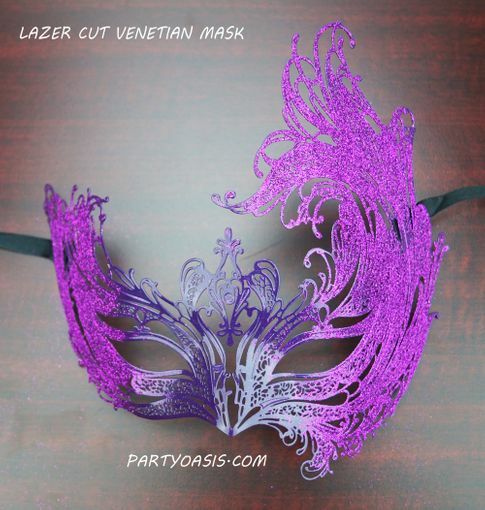 Venetian lazer cut mask is hand painted and glittered. This mask is made of metal and comes with black ribbon ties. Color is purple with purple glitter accents.